Liverpool’s win at Anfield on Sunday wasn’t short of significance, but the bluntest statement of all was just how insignificant Man United felt as opponents. At 1-1, it still never felt as though the Reds would do anything other than beat Manchester United. Even through the section of the second half where we resorted to a few speculative pops from distance. Even when Andy Robertson nipped in with a timely intervention, just as Marouane Fellaini was sneaking in on the blindside for a free header at the back post. 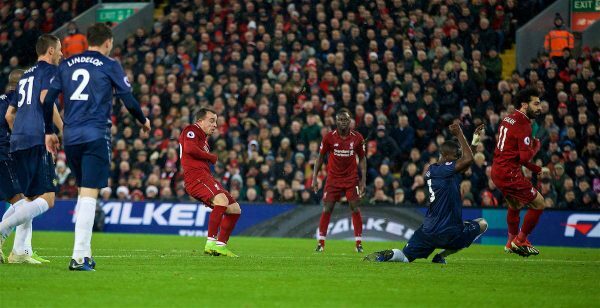 Gifted an equaliser and denied a header: This was as dangerous as the afternoon got for us at the back, as far as Manchester United’s attacking threat was concerned. Beyond that, it was pure comedy really. If you haven’t seen the footage of Fellaini hitting the paramedic sat near the Anfield Road end corner flag, then do look it up. I particularly like the way that the paramedic knows early on that the ball is going to hit him, but is unmoved, as if incredulous that Fellaini’s shot could be so poor. The paramedic is literally knocked off his seat. It is a thing of beauty. Comedic endeavour aside, be under no illusions: this was a significant win against increasingly insignificant opponents. No blinking when locking eyes on a traditional rival. No wavering at 1-1, when conceding an undeserved equaliser. No ‘settling for a point.’ We corrected ourselves and we won the game. It almost felt like we were playing against Everton. Liverpool were irrepressible and it always used to be like this. It feels like deja vu is at play here. The most telling minutes of this game were the last 13: the final 10 of normal time, plus the three of injury time. Within these last 13 minutes, it was the lack of effort and belief in the United players that was the most surprising thing. They gave up. As opponents, they were insignificant. We cruised our way to the final whistle and were still trying to score in injury time. This was one of the most lacklustre Manchester United performances I’ve ever seen at Anfield. Yet, we shouldn’t be dwelling on it for too long. We should enjoy the glow of returning to the top of the Premier League. We should enjoy that we beat Man United to do that and we should enjoy that we have leapfrogged Man City once again to get there. Drink it in, breathe it in, but don’t dwell on it for too long. 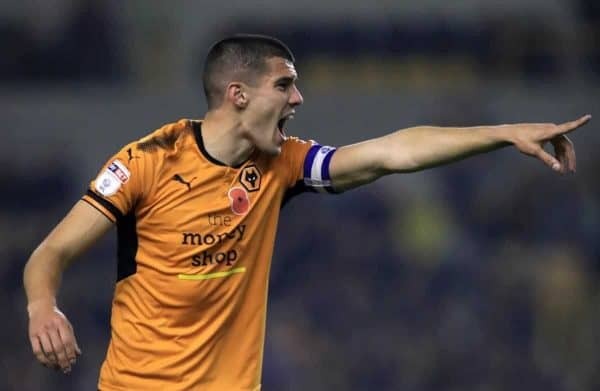 Wolverhampton Wanderers on Friday suddenly looks set to be a harder task than this one was, and it is a fixture that deserves the most meticulous of preparations. They are a club currently on an upward curve. You can’t suggest the same thing of Man United. For Liverpool, there were only performances of significance. Fabinho was outstanding. 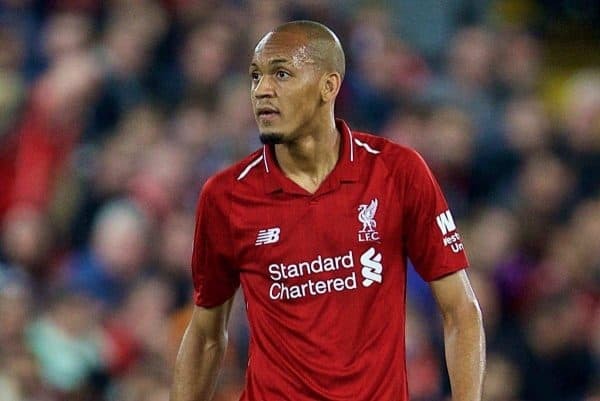 Mirroring the way Jurgen Klopp measured the introductions of Robertson and Alex Oxlade-Chamberlain, Fabinho has been drip-fed into the Liverpool midfield. 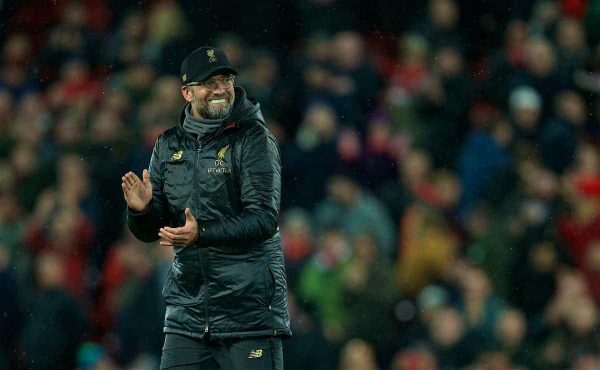 Hopefully, we’ll all be that little more understanding the next time that a new signing is nursed into the team by Klopp, rather than thrown straight in. Why rush a player, if he isn’t ready yet? It is a show of strength to display the sort of patience Klopp does. Be that in the way he eases some of his new signings into his team, when others arrive ready to fly, or how he sits and waits for the right player to become available, instead of diving into the transfer market for the sake of it. There is nothing wrong with biding your time. Nathaniel Clyne is another who has had to do exactly that. A first league game of the season, it takes character to come into the team for this particular fixture. 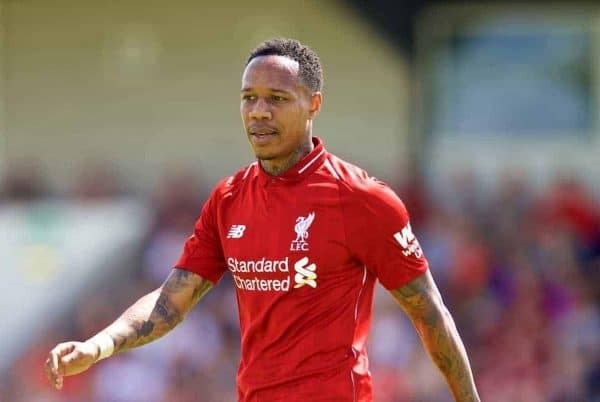 Clyne went from us touting him to be England’s first-choice right-back to being usurped at both club and international levels by Trent Alexander-Arnold while out injured. Rumour had it that Man City were interested in Clyne a couple of years ago. He was a right-back of substance and he can be again. Whether that is, long-term, in the red of Liverpool remains to be seen. There was more significance from Robertson. That interception, that energy which tired Jose Mourinho out. Maybe give the corners a miss though. I’m looking at you too, Mohamed Salah. 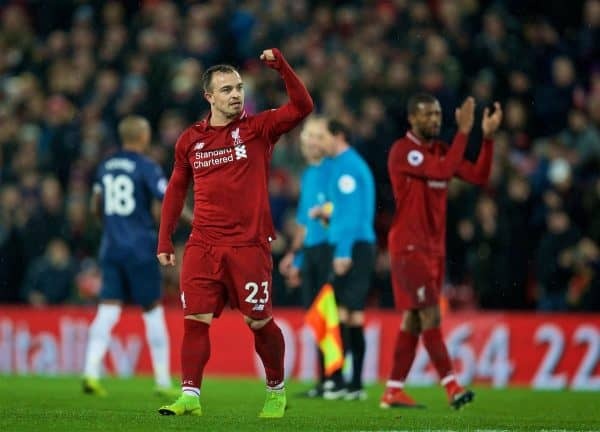 Xherdan Shaqiri bided his time on the bench, then entered the fray to match-winning effect. Two goals, both deflection-assisted, but who cares? We had to be patient, but the win came. We bided our time and we got our deserved rewards. Klopp’s substitutions were the work of a genius. An opportunity to go four points clear at the top of the Premier League, but it will be hard-earned should we do it—and only to see that projected four-point gap be shrunk back down to one when City beat Crystal Palace the following day. Let’s face it: Roy Hodgson isn’t going to put a spanner in the Pep Guardiola works for us. It would be like us asking a mountaineer to scale Everest in nothing but his underwear. We have, however, reached a stage where our rival for the Premier League title should be seen as insignificant. Not out of disrespect for that rival, but through the confidence we should have in our own abilities to maintain our position within a ‘zone,’ where it doesn’t matter what anybody else does. It should simply be a case of looking after our own tasks. This Liverpool is increasingly looking capable of that.